I have practiced since 2001, was certified as a Civilian instructor in 2007, became Expert 2 in 2015 and obtained the MIC Instructor certification in 2017. Krav Maga is very useful for military and policeman but that’s not the most interesting part for me. 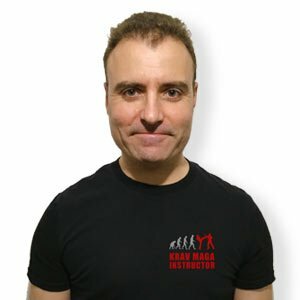 The most interesting is that Krav Maga can easily help a normal person to dramatically improve his capacity to defend herself in a minimum amount of time. Because of this, Krav Maga fits perfectly into a global approach to personal protection. My philosophy concerning training and teaching in Krav Maga: Live better in peacetime, be useful in wartime.